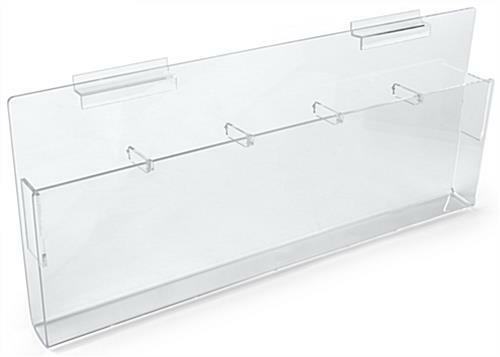 Zero Tools Required for Setup! 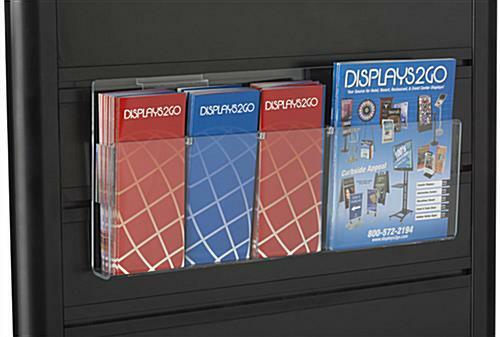 This hanging booklet rack is attachable via slatwall panels. 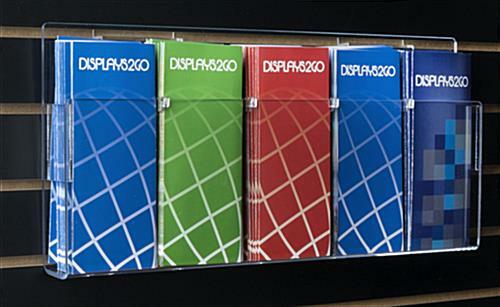 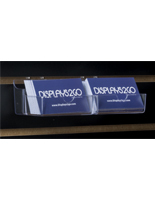 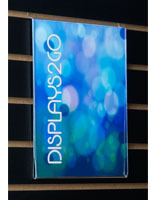 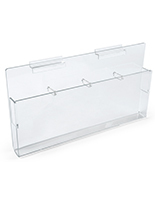 This 5-pocket system is made of clear acrylic on all sides, so customers instantly view the contents! 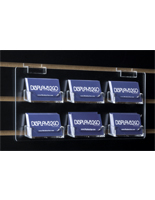 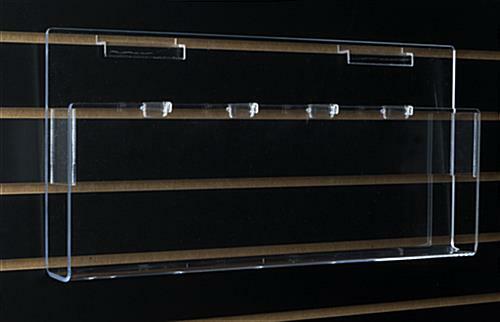 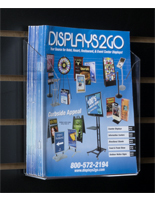 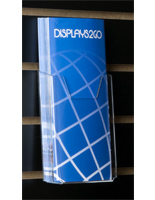 This hanging booklet rack, also known as a wall mount display, can be adjusted to store two letter-sized catalog stacks using the enclosed peg dividers. 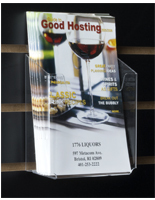 Each of these literature stands is mounted with little effort -- and it's cheap, especially when bulk purchased!